In 1619, a hurricane sank the English merchant ship Warwick in Bermuda’s Castle Harbor. The struggling settlers of Jamestown, Virginia, were desperately awaiting the shipload of fresh supplies, and keenly felt the loss. Almost 400 years later, artifacts from the wreck are helping archaeologist Grace Tsai uncover if unrefrigerated food and drink remained edible and nutritious during long sea voyages. Since 2012, Tsai, a doctoral candidate in nautical archaeology at Texas A&M University, has been studying archaeological records of provisions from three different shipwrecks from the 16th and 17th centuries and analyzing shipboard diets based on modern nutritional guidelines. Now, Tsai and her colleagues are going one step further: for two months, they stored period-accurate provisions aboard the closest thing to the Warwick they could find—the 19th-century tall ship Elissa, docked in Galveston, Texas. The two-month shipboard study took place from August to October 2017, and included its own hurricane scare, when Harvey swept through just a week into the experiment. Now, Tsai and her colleagues are back in the lab, analyzing the provisions’ surviving nutritional value and investigating the microbes that grew on them. Chemical analyses could even reveal any remaining—or acquired—flavors. Yet before they could get to this point, Tsai and her team had to make all the foodstuffs that would have sustained a 17th-century English sailor, such as salted meats, peas, oatmeal, tough ship biscuits, beer, wine, and a barrel of natural spring water. The project also included a variety of heirloom rice, which was more common in the diets of Spanish or Portuguese sailors. To better understand the salted meats, Tsai traveled to Bermuda to study animal bones recovered from the Warwick’s wreck. Her examination of butcher marks on cattle bones helped her identify the best size to cut beef to enable preservation. The team also imported sea salt from Guérande, France, a region that has been producing salt for more than 1,000 years, which remains a chefs’ favorite. Previously, scientists have tried to re-create food and drink from various historical periods. But independent experts agree that this project is an unprecedented experiment in maritime archaeology. “[The experiment] would certainly be the closest we could come to replicating the stowage conditions of a sailing ship in that environment,” says Chuck Meide, director of the St. Augustine Lighthouse Archaeological Maritime Program in Florida. After their stint in the Elissa’s hold, many of the provisions still seem edible. For safety reasons, nobody will actually be tasting the experimental results, but the baked ship biscuits are in the best shape by far, a testament to their legendary hardiness. The salted beef, however, has taken on a pinkish center resembling prosciutto. It has a pungent smell, says Tsai, though it isn’t rotten. A big exception is the natural spring water, which has turned cloudy with greenish bits and “smelled pretty disgusting,” Tsai says. Sailors may have preferred quenching their thirst with beer and wine, which remained more palatable. Still, a surprising amount of lingering yeast fermentation and carbonation caused the beer barrel to leak and grow mold. Yet the biggest surprise came from the diversity of microbes found in some of the food. Early genomic sequencing analyses, mostly from the salted beef, suggest that many of the bacteria are neither illness-causing pathogens nor beneficial probiotics—most seem to be relatively neutral. The unexpected microbial bounty, however, has forced the researchers to expand their genomic sequencing efforts. Even though no one is eating the food and drink stored aboard the Elissa, the team is organizing a fundraising event aboard the ship later this month to sample beer based on the historical recipe. 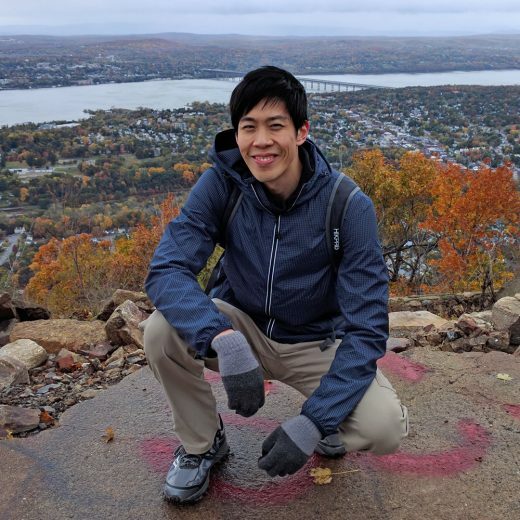 Jeremy Hsu is a Brooklyn-based journalist who covers science and technology issues for publications such as Scientific American, Discover Magazine, Wired, IEEE Spectrum, and Undark Magazine. His recent focus has been on artificial intelligence techniques such as deep learning and the impact of automation on society. But he also maintains a strong interest in biodiversity conservation issues, space exploration technologies, and military history. Cite this Article: Jeremy Hsu “Diet of the Ancient Mariner,” Hakai Magazine, Mar 14, 2018, accessed April 23rd, 2019, https://www.hakaimagazine.com/news/diet-of-the-ancient-mariner/. Five historic drinks that helped seafarers get three sheets to the wind. After years on the ocean floor, these five salvaged beverages were still drinkable—for better or for worse.